SmartaMobile is here to help you get it right. We build bespoke apps for you based on your prioritized set of user scenarios. This can be as big or as small as you want it to be, for the specific time period you are working in. We carry out agile release iterations. Each release iteration has the goal of coming up with a Minimal Viable Product (MVP), as determined by you, which encapsulates enough of the functionality and performance that you need for the app at that time. The MVP is ready for release and will be published to the app store(s) to be trialled and used by your chosen user base. To determine what should be in the app, we work with you to come up with a set of functionality (user stories) that could be built. The user stories are humanly understandable so that you can then prioritize them into the next MVP. We also build working prototypes of your app (if relevant) in order to remove all doubt as to how it should function, and to achieve a clear common understanding between "product owner" (you) and developer (us). Servers and Databases: Not a Headache! 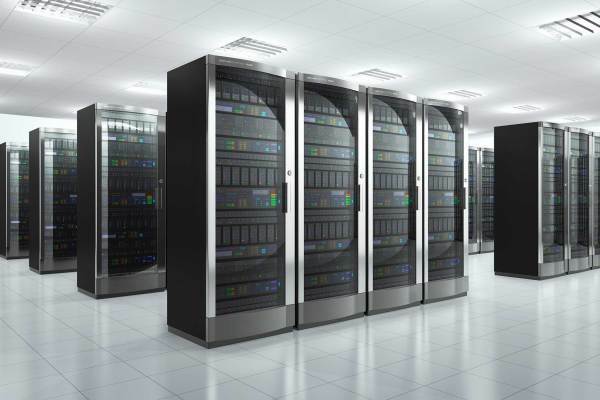 If you are a small or medium-sized business you will not have an IT department, and will probably not have a whole bunch of servers running your business. But don't worry, if you do need any of this to support your app, we have you covered! As a small or medium-sized business, you will not have the compute power that larger companies have, nor the staff and IT budget to manage this. However, having a mobile presence means more than just sharing content and marketing material with your customers. You could expand to selling your products via this channel, and you will certainly want to collect and understand the data you are getting from it, particularly about your customers. You may need to upload files and videos to a back-end, and store your user profiles. At the minimum you will need to integrate with other parts of your business systems, and this may only be possible by building an API that the mobile app can talk to first. You will also want to record data about app downloads and usage, as well as store the actual data passing through the app (assuming it is not already stored in other places, like social networks). So you may well need to have some kind of "back-end" to the mobile presence, even if it is quite a small one. But don't worry, because we at SmartaMobile can look after all of this for you, securing your data using cloud services so that you only pay for what you are using. If you just need integration, we also have this covered for you, and will ensure that your systems communicate with each other correctly. We know that there are never enough hours in the day even to run your business as you would like, let alone dedicate yourself to studying the new mobile presence. That's why we help you by providing simple, clear, useful summaries of what has been happening in the mobile space thanks to your app. You will want to know whether your customers are actually using the app, whether they like it, and whether they are benefiting from it. You will also want to know whether people who are not your customers (yet) are looking at your app, and whether it is time to respond to some of the feedback you may be getting. SmartaMobile will provide you with the information you need to understand this. ​Depending on what you are seeing, and on the impact to your business, you may want to develop the app further, you will come up with some new or improved user scenarios that you would like to see part of the app. We can work with you as before, defining the next MVP in your series, allowing you to take the app to more sophisticated levels. In the background we will be looking after the service you are providing to your customers, so that it remains available 7x24, and so that your and your customers' data are looked after securely.